The fingerprint template algorithm Biobdridge VX10.0 is the latest development from the FingerTec’s R&D team. The new algorithm speeds up the fingerprint verification process as well as maximizing the fingerprint templates capacity to 12,000 for any terminal with FEM600 core board. All the new multimedia model terminals are already loaded with the Biobridge VX10.0 algorithm. However there is a minor setback with the fingerprint template algorithm and the 1K Mifare card. There is a storage size difference between the algorithm BioBridge VX10.0 and VX9.0. The storage size of the fingerprint template enrolled using the algorithm Biobridge VX10.0 is 3 kilobyte while VX9.0 is 1 kilobyte. 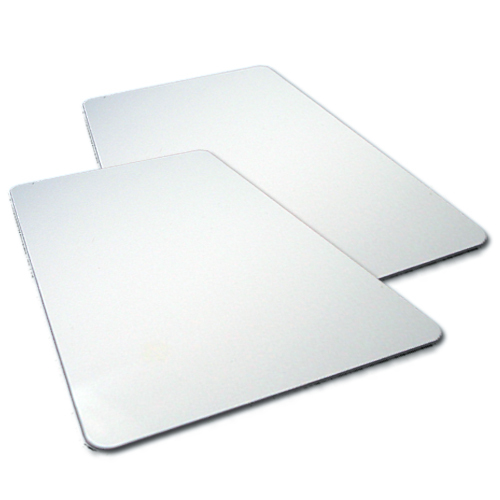 The 1K Mifare card can only store up to 1 kilobyte, hence you cannot store the fingerprint template enrolled using algorithm BioBridge VX10.0 into the 1K Mifare card. To copy the fingerprint template enrolled with algorithm Biobdrige VX10.0 into the Mifare card, you will need to use a 4K Mifare card. You will also need to update the terminal with a Mifare firmware update to achieve this. Currently the firmware is still under construction. We will notify the users once the firmware is ready. You can change the default algorithm Biobridge VX10.0 to VX9.0 and enroll the fingerprint. By enrolling your fingerprint template using the algorithm Biobridge VX9.0, the storage size will be 1 kilobyte and it can be uses with the 1K Mifare card. Face ID 2: Press Menu > System > Fingerprint > Algorithm version > BioBridge VX9.0 > Save. FingerTec Support Now Via Google Talk!